Thanks to Emz for profiling me on Horror Addicts today! 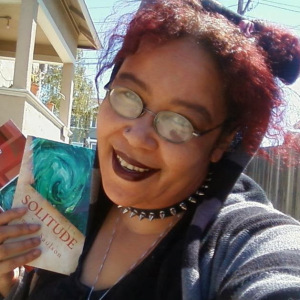 This week we have author Sumiko Saulson. Sumiko’s one talented chick! She has a new book, Happiness and Other Diseases, coming out this month, she is a brilliant journalist, artist, and also plays in a band. Talk about an urban Renaissance woman! For #109, she brings us “I, Stammer (in Disbelief)”, a first person story about a misogynistic bus driver named Harold Stammer who just can’t believe how superstitious his family and friends are about the Craigslist Killer. Let’s find out some more about Sumiko’s horror tastes. HA:What was the spookiest night of your life? ~ by Sumiko Saulson on October 3, 2014.